I have stayed at many campgrounds across the United States. Some Military, mostly civilian. This is the worst place I have ever been to. When I first arrived I was told that I could stay in the overflow camp sites due to updating of half of the regular camp sites to 50 amp. I was happy to hear that since I am a Disabled Veteran and have difficulty walking long distances. Since they had no marked disabled spaces. I Was told that I could stay for up to 30 days. On the first weekend after a civilian company (non DOD affiliated) had their annual picnic there, I found that someone had removed their underwear in the mens restroom after relieving themselves in them. This stayed on the floor from Saturday until Monday at which time the underwear were picked up however the mess was left behind until Thursday. The cleanliness of the restrooms were similar to this the entire time I was there. The park was constantly littered with trash. Civilians were coming and going at all hours of the day and night without having any ID checks. So much for the locked gate which by the way was not always locked nor closed at night. There is a camp host available when he is there. 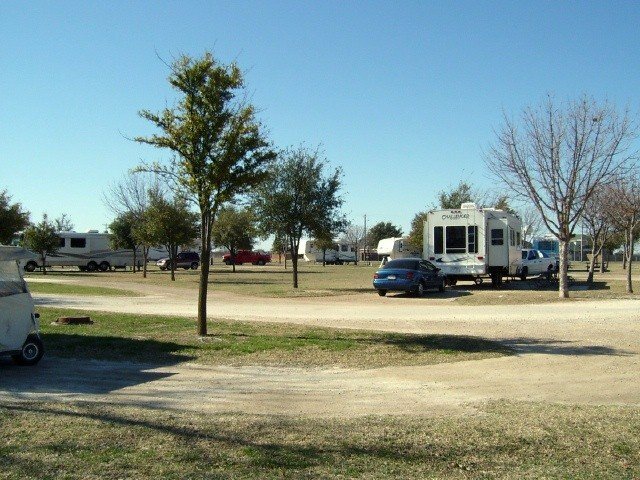 The campground is located 8 miles from Goodfellow AFB. Only 1 mile from the airport. Not a bad area if your used to military aviation and low flying aircraft landing or taking off does not bother you. The docks are adequate. The ski boats and bass boat are fairly new but bring your credit card or get a loan cause they are not cheap. While the nightly stay is very inexpensive at $15.00 a night for 30 amp full hookup and overflow with just 20 or 30 amp electric is only $10.00 a night, staying for the full 30 days is cheaper nearly anywhere else in town such as the KOA located less than a mile away is $395.00 a month and includes full hookups with 50 amp and cable where as Goodfellow campground is $450.00 without cable and currently 30 amp electric. However staying for that length of time at Goodfellow Campground is frowned upon by the management. The campground and park were in very poor condition. There is a lot too see and do in the San Angelo Texas area and the people are wonderful. Just not the ones located next to the Campground. I was told by the junior staff members and the maintenance crew that if anyone goes too close to the fence the neighbors would call the police. Also don't bring a pop up trailer that is not self contained to San Angelo and expect to pay by the month to stay at a campground as they are outlawed for that length of stay due to not being self contained. The campground staff is largely made up of young people that are fairly inexperienced with the needs of campers. As for the manager, well lets just say its a name only position. The Recreation Program Director will schedule events at the park, try not to be there during these times as you may be asked to leave, weather you have paid or not. If you decide to contact someone at night or when the park/campground is closed due to civilians being there after hours having loud parties until 3 am, don't bother. Security Forces will not come out and the local police will not come out, so your on your own. Also if you do happen to see something take place after hours it would be best to forget you ever saw it as you may be asked to leave for complaining about the noise or people doing donuts in the boat dock area or civilians being there at all hours of the day and night. 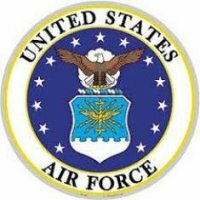 Overall I feel sorry for the Men and Women in Uniform stationed at Goodfellow AFB. They are the ones that really suffer when their recreation facilities are in this poor a condition. I will not ever stay there again not even if they paid me.